So you've got a solid lead generation strategy and you're trying to build a lasting pipeline. But is your follow-up working? Agents often expend most of their energy on generating more and more leads. And while drumming up business is important, it’s what comes next that truly matters and moves your leads from that first phone call to the closing table. Follow-up is critical, but it’s also pretty straight-forward! Implement these three steps and your process will work seamlessly. This might not sound like a direct route to determining if your lead follow up is working, but it’s completely fundamental to the process. A workable database is the foundation to an effective lead follow up strategy. And cleaning up your contact pool is time well spent. No matter how large and looming your database might feel, we promise we’ve seen worse. And with a few quick changes and some dedicated time, you can turn it into workable lists to make your follow-up so much simpler and more effective. Want to act buy or sell now. Are looking, but not ready to act. Searching a few months out. Searching for a few years out. Go a step further with each of these segment and create sub-groups like “first time homebuyer” or “investment property” and consider price ranges and other differentiating needs. When your database is sorted into thoughtful categories, you won’t have a prospect fall through the cracks and they’ll follow a clear path from first contact to closing. Like any well-organized aspect of your life- from a Marie Kondo approved closet to the contents of your desk drawers, there needs to be some dedicated time for maintenance. This is a personal choice to suit your organization tendencies (or propensity to let things fall into disarray), but many people have found success sticking to a monthly time frame. Which message do you think is more likely to convert your lead? My name’s Joanna, and I’m an agent with Cobblestone Realty. I noticed you created an account on our website, and wanted to see where I could help you in your home search. Caroline, I see you’re looking at a few homes on Broad Street (based on your website account). If you’d like, I could schedule a few showings, so you can see in-person what the homes really look like. Look at their behavior. What properties were they looking at? If it’s an older, cold lead, ask them if they’ve made progress on their home search. Segment your leads in your database (with detailed tags and categories) so you can send bulk emails/texts while still pinpointing their needs. Help them decide what to do next. Ex: You’ve taken X action. Are you ready to go ahead and move forward with Y and X? Be aware of time and location. If you’re sending something close to a holiday (maybe the Superbowl) or a current event, throw in a reference or friendly holiday greeting to give the message a more organic feel. Double check for “robot language.” Of course you want to sound professional, but do you sound human? Friendly? Imagine reading the email or text yourself and consider how you would respond. Organized database? Check. Tailored outreach? Check. Now let’s get to measuring response rates and marketing efforts so you can get a clear picture on what’s working in your follow up strategy and what could use some improvement. You should track everything from phone calls to email campaigns to texts. Everything. This is easy in BoomTown. Calls, emails, transactions, team performance: everything is tracked and logged in the system for immediate reference and simple tracking. But no matter the system, everything should be tracked to measure success, and whether or not it is working for the specific category. Maybe a certain category would respond to texting over email, or video over straight text? You’ll never know unless you A/B test and track your progress. Once all the main pieces of your marketing plan are in place, determine the goal behind your campaign. What actions do you want your audience to engage in? What type of influence or advocacy are you looking to draw back from them? For example, by sharing quality educational content, you showcase your authenticity and insights to build trust and loyalty with your audience. The CRM will track open rates, responses, and log each interaction automatically. This makes it easy to see what emails are working, and where you might want to improve. If your data shows one specific email isn’t helping move leads through the funnel, or recipients are increasingly unsubscribing and/or reporting spam, it’s time to adjust your messaging schedule. Keep in mind that your prospects may be receiving emails from more than one agent, so keep content fresh and original. Look at ineffective emails as a test, not a failure. You’ll no longer be wasting time on a message that isn’t resonating with your prospects and you can focus on different subject matters that drive results. With time, you will discover what is successfully reaching different segments of your email lists. Don't miss the conversation. Get articles like this every week. 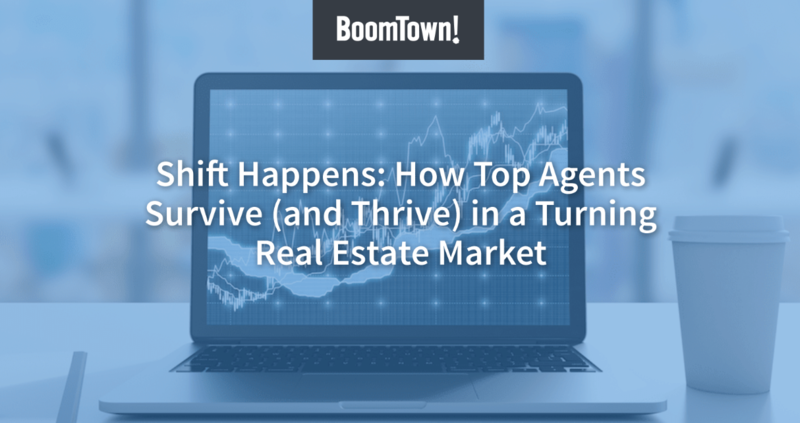 Join thousands of real estate professionals and get the strategies you need, straight to your inbox.